St. Patrick’s Day is quickly approaching, and even if you don’t have any Irish heritage, it’s always fun to put on something green and celebrate. And what better way to display your “Irish Pride” than to spoil yourself, and your pup, with a little St. Patty’s Day fun. 1. No Pinch for You! 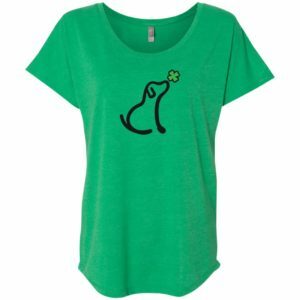 Be fashionably fabulous with a super comfy St. Patrick’s Day t-shirt from iHeartDogs.com. You’ll be decked out in green AND feed 7 shelter dogs with your purchase. And what better way to enjoy your favorite St. Patty’s Day beverage then with a beer stein. I know, steins aren’t Irish, but neither are you probably. Each purchase feeds 5 shelter dogs. 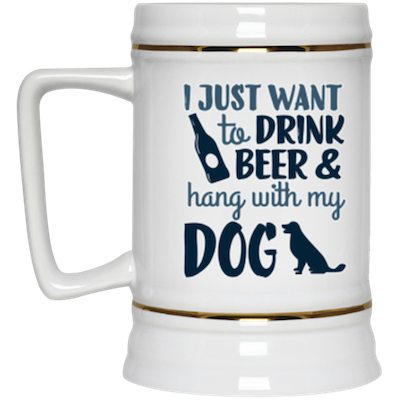 And remember, it’s not drinking alone if your dog’s home! 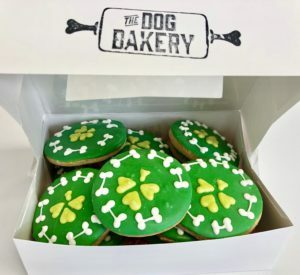 Treat your Irish Setter, Irish Wolfhound…or your <insert your breed here> to some delicious Peanut Butter Shamrock Cookies from The Dog Bakery. These fresh baked dog cookies are all natural, made in the USA and hand decorated making each treat truly special and unique. Filled with healthy ingredients like peanut butter, honey and applesauce, these yummy treats will have your pup feeling the Luck of the Irish. Feeling a bit of the Martha Stewart vibe? Why not bake your own shamrock-inspired dog treats? This healthy, easy to follow recipe is sure to make any pup feel lucky – with just a few ingredients that you probably already have on hand, your best friend can join in on the St. Patrick’s Day fun!